Pat Torpey is an American rock drummer and singer, known as the drummer and backing vocalist of the hard rock band Mr. Big. He has also played for John Parr, Belinda Carlisle, Robert Plant, Montrose, Richie Koetzen, and The Knack. Pat has recorded with Impellitari and Ted Nugent. On July 25, 2014, he announced that he had been diagnosed with Parkinson’s disease and would be unable to perform all his normal drumming duties on the band’s 2014-2015 world tour in support of the album, The Stories We Could Tell. 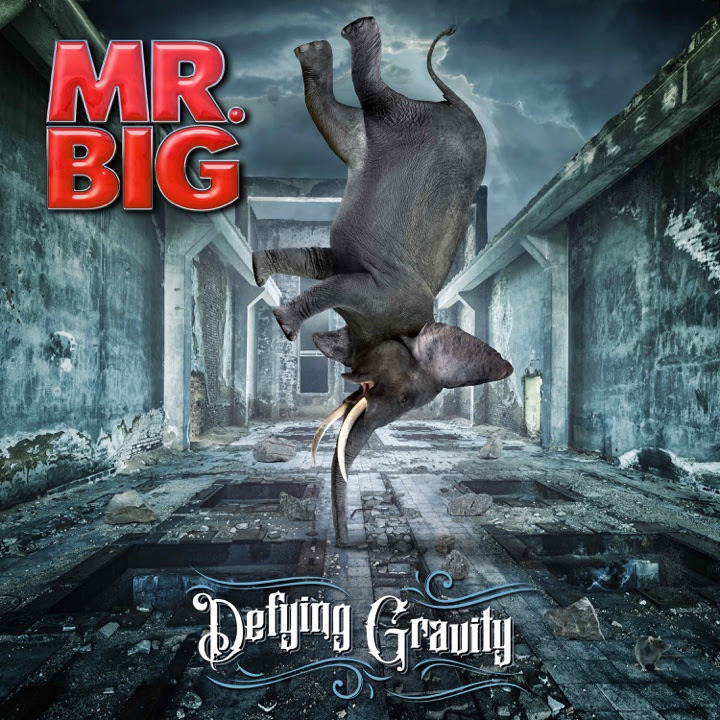 Pat recently acted as a drum producer on Mr. Big’s latest album, Defying Gravity, and still plays percussion on tour, though Matt Starr has taken over lead drumming duties. 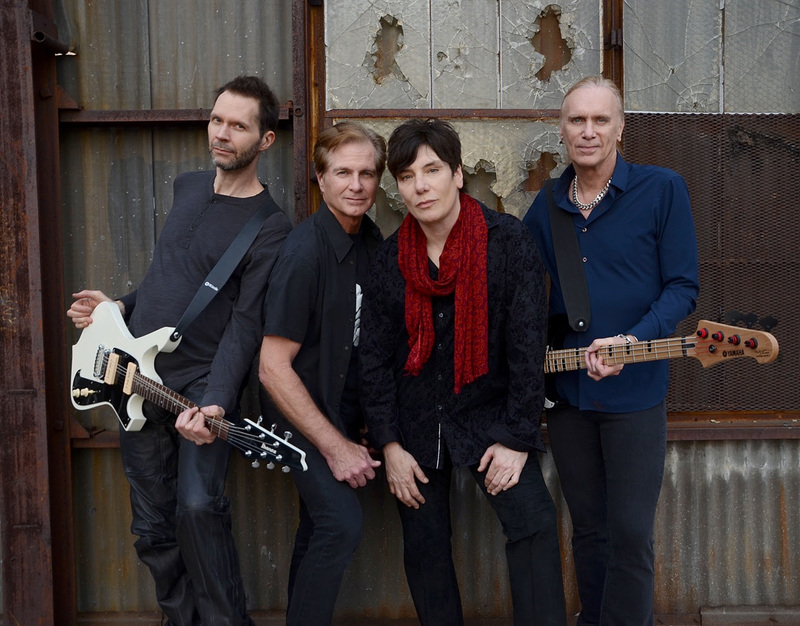 Ahead of Mr. Big’s Manchester show headlining a three-band package with The Answer and Faster Pussycat, I had the opportunity to do an interview with Pat Torpey. ANTIHERO: Good afternoon Pat, you have played a couple of dates of the UK tour so far. I just wondered how that’s gone for you physically? Pat Torpey: It’s going okay, the tours are good, the travel is always a challenge with lack of sleep and trying to eat correctly, but the show is always kind of reinvigorating once you get up on stage and you get into it, so it’s good. ANTIHERO: I understand that you are playing some live drums on a few of the tracks in the set. You’re playing only part of the set, just a few songs. Which songs are you doing and why did you pick those songs? Pat Torpey: Well, the songs kind of picked me, they’re the ones I can still do because of my condition. But I’m on stage pretty much for about 16 of them, and I sing on everything and play percussion, so I’m still hanging in there, I’m just glad to be making music and be out here, so it’s good. ANTIHERO: That surprises me, I didn’t realize it was as many as that. When I read about initially that you were playing a part of the set, I only thought just maybe a couple of songs. Pat Torpey: Well, I only play drums but I’m playing percussion and singing, so the singing is still an important part of the Mr. Big sound. ANTIHERO: Defying Gravity is the band’s latest album. I just wondered did you find it difficult with that because you had a different role this time around? Pat Torpey: Well, it wasn’t difficult, it was just more of an adjustment. Because I was working with people that I’ve been working with for decades it was more just a matter of adjustment because we know each other through many, many tours and albums and situations. So, it wasn’t what I would call a struggle or uncomfortable, it was more of a side step and adjustment that was actually kind of interesting and fun. ANTIHERO: What if you would give me a little bit of insight into the actual impact of your condition. I just wondered how you’re able to perform live when you weren’t able to obviously record the whole album in the studio. Is it only on different days and different environments? Pat Torpey: Yeah, the cold doesn’t help, I’m trying to stay warm, but the situation is different it affects me in different ways and in different timelines. So, for me, I was probably physically in better shape now. Over time it gets a little harder to control mostly my right hand which is important playing the drums and also the tempo because you have to play it quicker and with more accuracy and that becomes a challenge. So mid-tempo songs and a ballad become a lot easier to deal with. ANTIHERO: I just wondered, in terms of technology, have you even looked into maybe some drum adaptations technology-wise? The studio is just a way for us to capture the live performance and so the time crunch we weren’t that concerned about it because everybody’s got experience in the studio and we all had to be quick and be able to be spontaneous and come up with parts on the fly. But actually, that’s what rock n’ roll is all about, as far as I’m concerned, it’s just live performance and the chemistry between the people that are playing it. ANTIHERO: I’m sure you’ve gone through a lot of difficult and particularly dark times. What gets you through those low points? Is there anything that you can go to that brings you through those hard times? Pat Torpey: Well, you’ve just got to stay positive – the band has been really supportive, my wife, my family. I mean, the thing about having Parkinson’s – it’s not a death sentence. I mean, you wake up in the morning and there are mornings I wake you and you’ve had eight hours of sleep, but you still feel tired when you wake up and you’ve just got to make sure you get out of bed and get off your feet and do something, you’ve just got to get up and keep working at it and it’s good to have… The people around me are supportive and understand that I might not be able to do things a little quicker or the same way I used to and having that support has been really important and helpful dealing with it, so I consider myself to be pretty lucky. ANTIHERO: And of course, I’m sure you appreciate the very fact as well that you’ve still got Mr. Big as part of your life. It must also help get you through as well. Pat Torpey: Yeah, it gives you your own vitality, it’s a good shot of adrenalin every day to be involved in a rock and roll band. ANTIHERO: You mentioned a little bit about the touring and generally getting through it is difficult but what countries particularly stand out to you? What sort of dates do you look for on the tour itinerary and say, “yeah, I can’t wait to get back there”. Is there any particular country that you have a favorite? Pat Torpey: Well, we always enjoy going to Japan because we’re very popular there and the travel and accommodations are really, really, really great there. But the tour, we’ve been looking forward to getting back to the UK, we always love playing the UK. It’s kind of like a country, where we all speak the same language although with a little different twist, but it’s nice to be back in the UK. And we always look forward to playing London, I mean there’s nothing like… London has got its own history, and British Invasion and the UK, all of the music that over the years that came out of the UK. Right now, we’re looking forward to doing that and we played last night, and it was a great show and the crowd was great and we really enjoyed it, so that’s the best way I can describe it. There are some favorite cities that we like to go in South East Asia and we always enjoy going to Singapore, Japan, Tokyo, London; all the big cities are always a fun time. ANTIHERO: Do you actually have the opportunity to explore those places or is it just a case that you get off the bus, do the show, get on the bus again? Pat Torpey: Well, sometimes it’s like that. We’re traveling most of the time but once in a while we get a day off you’re able to go out and kind of wander around, weather permitted; if it’s really cold we try to stay warm. But over the years because I’ve been touring since 1980 and I’ve had a lot of opportunities to go wandering around and I used to love to go out and walk around in the cities that we got to, but it had to not be cold. So, when we get the opportunity we do, we go out and walk around and check things out. ANTIHERO: Looking back how do you view your career? Is it something that you feel proud about? Do you like to look backward, or do you prefer to focus on what lies ahead? How do you look back at what you’ve done? Pat Torpey: Well, I’m pretty proud of it. I mean you make decisions along the way and I think I’ve been pretty lucky in being involved with a musical situation. I mean some guys just never get an opportunity to get the record deal and make their own record, so I consider that to be a blessing. And I’ve done some tours and met a lot of the people that I grew up listening to their music. Its offered me some opportunities for them as well, so I consider myself to be pretty lucky. And looking forward, it’s hard to look forward, and I don’t mean in a negative or positive way. Will I be doing this five years from now.? I’ll be involved in music somehow because I’ve been involved in music since I was out of high school in some capacity so it’s a lifelong endeavor and looking back I consider myself very lucky. ANTIHERO: Is there a particular song, maybe not by Mr. Big, by another artist, that no matter how many times that you personally hear it always takes you to another place? A song that you still get enjoyment from and maybe triggers a memory with you? Pat Torpey: Well there’s many songs, I mean there are so many fantastic songs. I mean I’m a fan of music whether it be jazz, pop, rock, metal, blues. I mean just off the top of my mind I think because drums have been such a big part of my life… I mean the first time I heard “Good Times Bad Times” on Led Zeppelin One, that song I still hear it and think, god, how did they actually do that? it’s just an amazing drum performance by John Bonham and just an amazing song. And I know the first time I heard it when I was 14 years old I just couldn’t believe anybody could actually do it and it was just one of those things and still every time I hear it, it comes back to me thinking about the first time I ever heard it. ANTIHERO: Outside of music when you’re not in the studio when you’re not touring, do you have any interests or hobbies that you do maybe in your spare time? Pat Torpey: Well, I do like to play sports. I play baseball, I like baseball, even now I can still play even having my condition and just have to slow down a little bit, but I still play once a week a couple of games and I enjoy that. I have a couple of dogs, I have a 15-year-old son, so I’m pretty busy with my family when we’re not out touring and playing music. So, it’s a pretty domesticated existence for an old rock and roll drummer. ANTIHERO: Just getting back to the tour. How do you guys go about getting the balance right for the setlist? I mean obviously you want to play the new songs, but fans are always going to want to hear the old stuff. Is it difficult getting a balance? Pat Torpey: No, it’s not difficult. We’ve kind of been doing the same set since we’ve been on the European tour and when we first go out and start doing shows after we have a new CD, that’s when we kind of experiment and the set changes from night to night, and we kind of experiment a little bit. But we’re always going to play “Daddy Brother” and “To be with You” and “Take Cover”, but I think people expect to hear those and we enjoy hearing them and of course some others. As long as we mix in some of the new, some of the old and some of the classics, we always have a pretty good idea. We’re lucky enough that we actually like playing our songs so it’s not… I wouldn’t say a cure it’s more a cap that we enjoy doing and once we get a big combination of songs we stick with it. ANTIHERO: You don’t find it difficult to keep those old numbers fresh? You never get fed up playing the same songs over and over? Pat Torpey: No, I can’t say that we do. I mean because there’s nothing like starting a song and having a crowd react to just the intro, I mean it gives you a little shot of adrenaline right there. So it doesn’t get old, it’s good. ANTIHERO: What’s next for you after Mr. Big? You’ve done other things musically over the years, I just wondered if you had any other projects lined up or is Mr. Big your primary focus for the next year? Pat Torpey: Yeah, Mr. Big is the primary focus. We’re done in about a week in the UK and then we’re going to go home for the holidays and then for the first part of next year we’re talking about doing some festivals in Europe and the United States as well. So right now, Mr. Big is the focus. I’m looking forward to seeing my family, we’ve been on the road now for about four weeks and it’s always nice to go home especially around the holiday time. That’s a fun time so I’m looking forward to that. And as far as any other outside projects, I don’t have any plans for anything really, just kind of taking it one day at a time like I said. ANTIHERO: Just a final one then, Pat. Do you have any unfilled ambitions? Do you still have dreams and goals? Pat Torpey: Well I think so, yeah. I mean there’s a creative side of being in a band and you’re always trying to come up with a new song and a new idea, but we’ve been together for almost 28-29 years and I think a lot of our goals have been realized but there’s always… Once you stop dreaming and driving forward you kind of start falling backward. So, I’m always thinking about music and of course having the family I have aspirations for my son and making sure he gets a good education and getting him a good start in life. So, I’ve got a pretty full plate, I’ve got a lot of things I still would like to accomplish. Go and travel with my wife and more personal things than the music side of it because I think the music career has kind of fulfilled a lot of my dreams so now it’s more just life accomplishments. ANTIHERO: That’s great Pat, thank you very much. Pat Torpey: You’re very welcome.